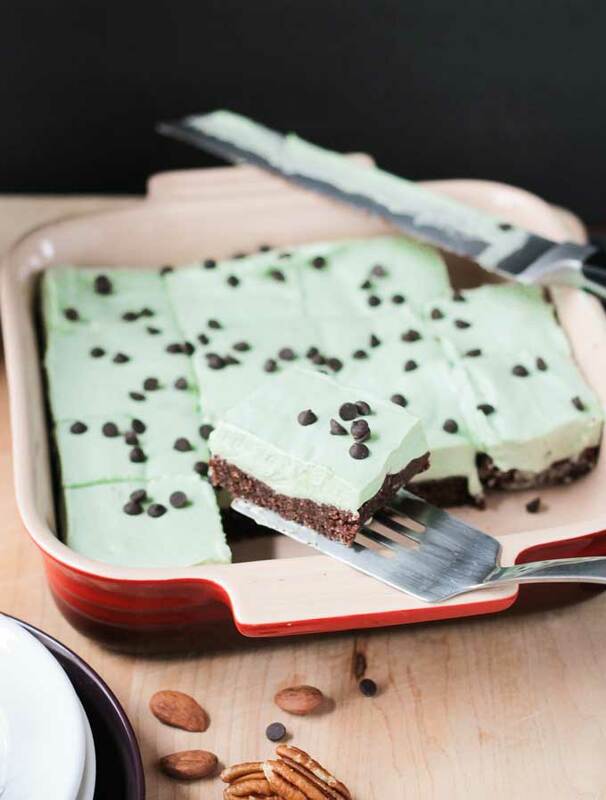 These green dessert recipes are perfect for your St. Patrick's Day celebrations! Because Adam and I love St. Patrick's Day, I always try to make an effort to do something fun for the holiday. Whether it's enjoying a green waffle cake with ice cream, a tipsy leprechaun cocktail at happy hour, or preparing some delicious green appetizers with dinner we aim to bring a little extra green into our lives on March 17! 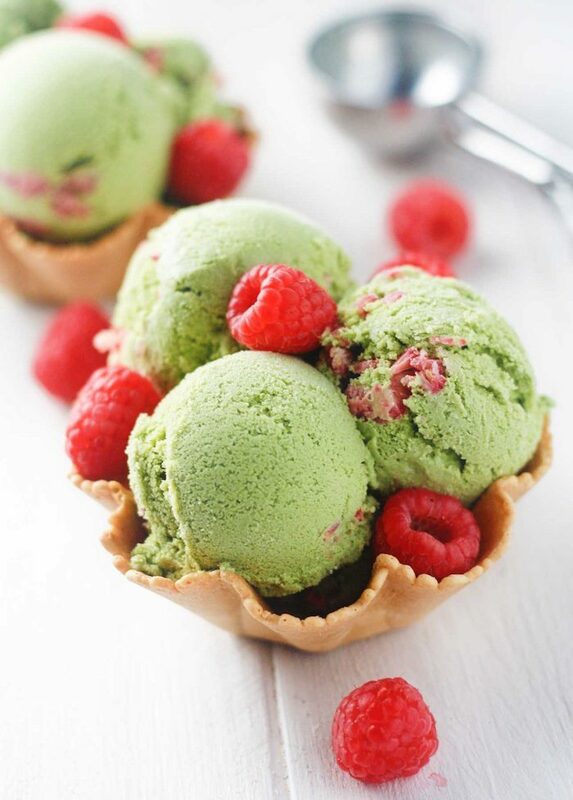 Below you'll find a diverse collection of some fun green desserts, and quite a few of them are healthier options as well (including this raspberry matcha ice tray ice cream from It's Cheat Day Every Day pictured above). 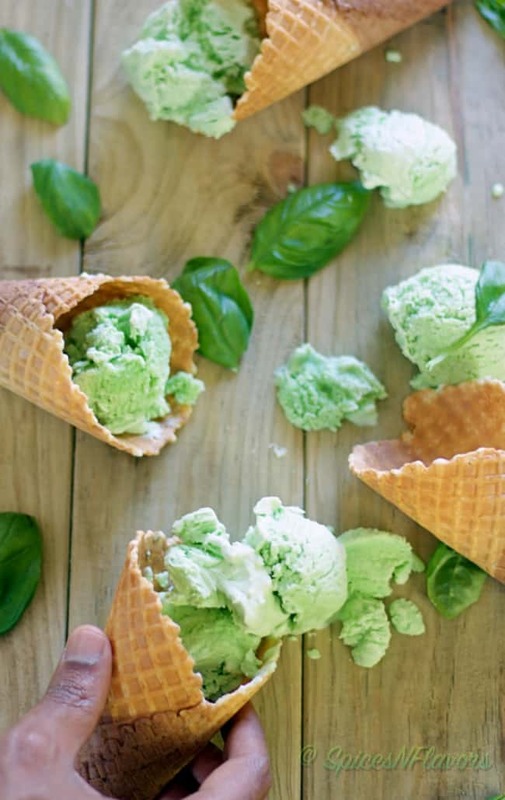 Enjoy this curated list of St. Patrick's Day inspired desserts that all feature green ingredients including basil, matcha, spinach, mint, etc. 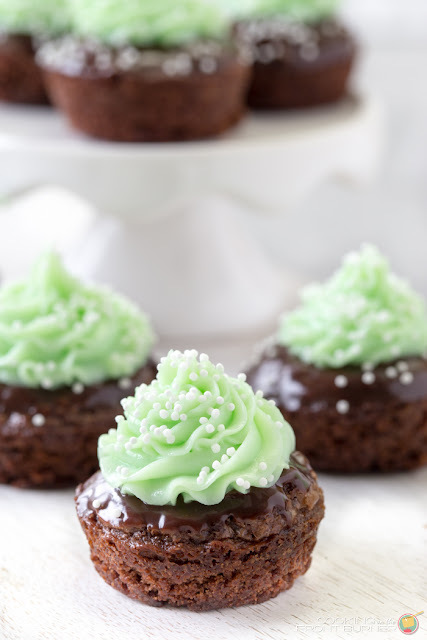 These recipes are beautiful and may be perfect for your St. Patrick's Day festivities! 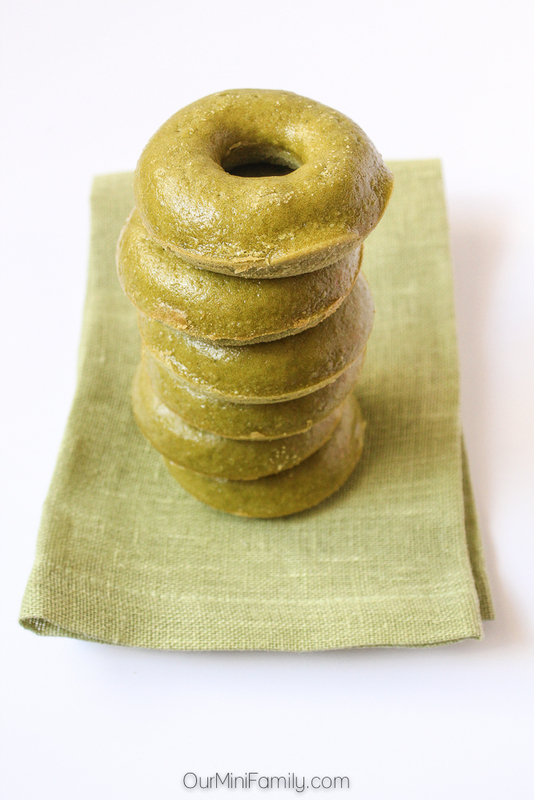 Which of these green desserts do you want to try?